So, What Is Public History? 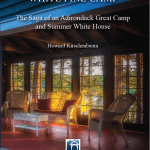 Adirondack Architectural Heritage is the nonprofit, historic preservation organization for the Adirondack Park with an educational mission to promote better public understanding, appreciation, and stewardship of the region’s architecture and communities. © Copyright 2014 All Rights Reserved.